Hey Beatles fans! Get ready to re-discover and re-live your favourite Beatles music and moments. 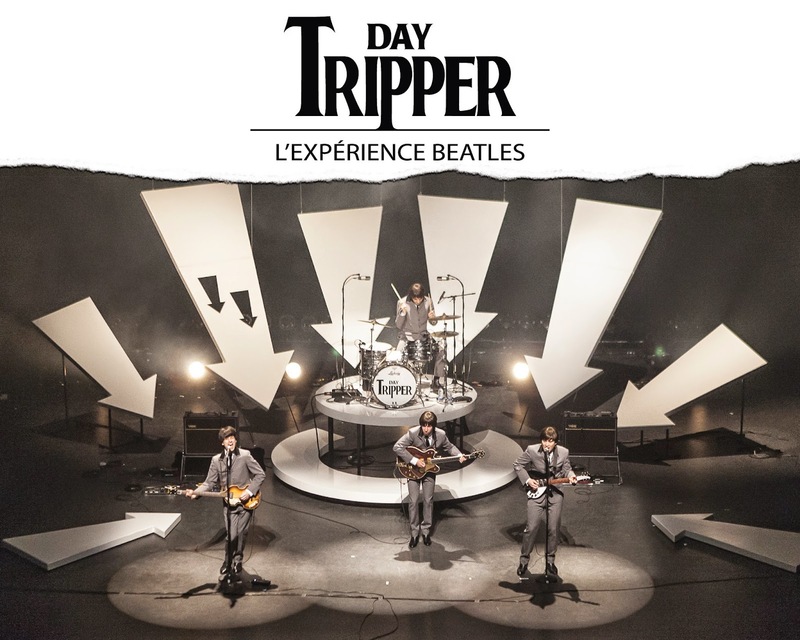 Day Tripper: The Beatles Experience is a non-stop rock concert where four young musicians take on all the nuances, mannerisms, voices and accents, that define John, Paul, George and Ringo. This incredible tribute band delivers a spot-on experience with no pre-recorded background music or storytelling as filler. Fans will be blown away as they perform a full-on, high-energy show featuring the songs and costumes that define each period of the Beatles’ career. Enjoy the Beatles Up Close and Personal in five incredible acts at Horizon Stage on January 29 and 30 at 7:30 p.m.
Act 1 … Beatlemania: In 1964 four lads from Liverpool ignite the stage of the Ed Sullivan theatre. Their toe-tapping catchy hits, their casual wit, and their unforgettable charm win the hearts of teenagers all over the world. Act 2 … Shea Stadium: By 1965, The Beatles are on top of the world. In the midst of the world tours, movie sets, dining with royalty, and recording studios, they are jet-setting across continents. In the studio, they push the creative limits of popular music into new-found territory. Lyrics take on deeper meanings, and the addition of heavy orchestration and studio effects became more and more common. Act 3 … Sgt. Pepper’s: By August 1966, frustrated with the hardships of touring and fuelled by experimentation, the Beatles decided to stop touring and focus their efforts in the studio. Sgt. Pepper’s Lonely Hearts Club Band completely re-invents the concept of pop music. Free from the constraints of having to perform their music live, The Beatles are able to let their creativity soar and create sounds no one had ever heard. Act 4 … Solo Acoustic: By 1968, their songwriting becomes less collaborative and more personal. Many of the songs written for the White Album were written while in India with an acoustic guitar. Paul starts showcasing his independence as a writer and performer through songs like ‘Blackbird’ and ‘Mother Nature’s Son’, George becomes every bit as credible a songwriter with classics like ‘While My Guitar Gently Weeps’, and John becomes an unwavering political activist. Act 5 … Abbey Road: Although Beatlemania is coming to an end and The Beatles are growing further apart, many regard this stage of their career as their best. The back-to-basics rock and roll attitude of ‘Let it Be’, and the refinement of ‘Abbey Road’ encompass everything they have learned over their remarkable careers. Day Tripper: The Beatles Experience is the closest you will ever come to seeing the fab four together again in their finest… and final hours. Tickets are just $40 for adults and $35 for students and seniors. The show on Friday, January 30 is close to selling out but there are great seats available for Thursday, January 29. Purchase your tickets in-person at the City Hall Ticket Centre (315 Jespersen Ave), by phone at 780-962-8995 or 1-888-655-9090, or online at www.horizonstage.com. This performance is proudly sponsored by Canadian Heritage, The Alberta Foundation for the Arts, Servus Credit Union, Travelodge Inn & Suites, and Ticketpro.